As you approach Achill Island, located off the County Mayo coastline, you are immediately struck by the wild beauty of the landscape. This is countryside that is stunning and dramatic but which also possesses an air of foreboding about it. Ever present is the island’s brooding headland which on the wet and windy day that I visited was covered in an ominous looking blanket of sea-mist. This is where Mayo Blackface lambs are born and reared by the Calvey family to produce the exclusive and unique tasting Achill Mountain Lamb. Here the sheep wander freely, grazing on the wild grasses, heathers and seaweeds that they find on the thousands of hectares of land to which they have unfettered access to on the island. If you ever doubted the veracity of the old adage ‘you are what you eat’ I urge you to sample some Achill Mountain Lamb and you will be smitten by this vaguely salty yet wonderfully sweet meat which comes from animals who feasted on the best that the earth around them offered up. Achill Mountain Lamb has a taste and tenderness unlike any other lamb I have ever eaten and is very much a product of the West of Ireland and the place it comes from. 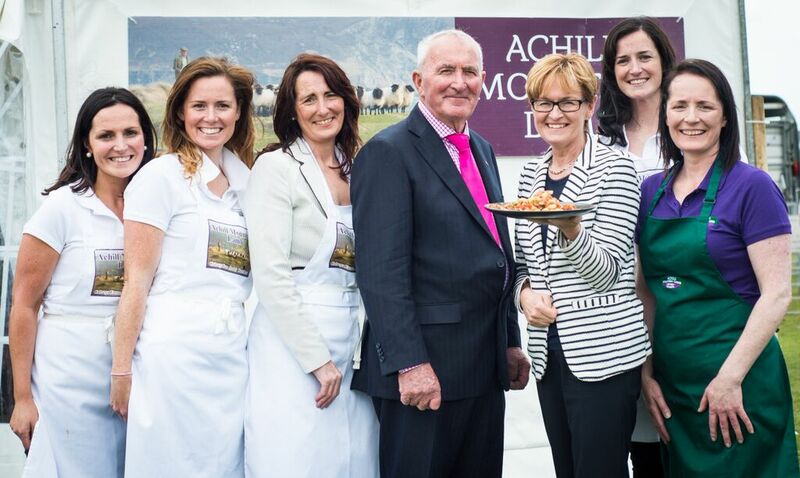 Achill Mountain Lamb is reared, slaughtered and butchered on Achill by the Calveys who have been producing this distinctive tasting lamb for over 50 years. Although there were originally 23 other butchers/abattoirs on the island when Martin Calvey started off in 1962, the Calveys are now the only licensed abattoir within a 30 mile radius. 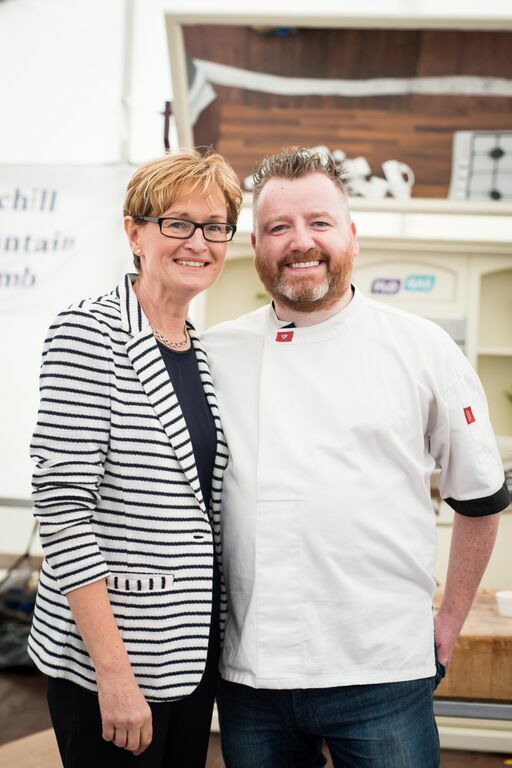 It is testament to their tenacity and their belief in their product along with a willingness to embrace and respond to customer needs that has seen this family-run business continue to develop to a point where the lamb is much sought after by many of Ireland’s top restaurants. The Calvey flock is made up solely of Mayo Blackface lambs; a pure breed, which has never been crossed with any other and which is specifically suited to the conditions on Achill. The sheep love to wander up the mountains and as one can imagine, herding them can be challenging! However, Martin told me that they dislike midges nipping at their faces and will always try to come back down from the mountains in the evening to avoid being bitten. I fervently believe that Ireland has some of the best food and food producers anywhere in the world and Achill Mountain Lamb is a wonderful example of this. I was therefore delighted to be invited to this year’s launch of the New Season Lamb which was held earlier this month on Achill. Achill Mountain Lamb has a later season than most other lamb, kicking off in late June/July and continuing until Christmas. The event was officially launched by Mairead McGuinness MEP, Vice President of the European Parliament. At the launch a lamb carcass was brought in and presented with great pomp and ceremony to the sound of bagpipes playing. As a full member of the Agriculture & Rural Development/AGRI Committee in the European Parliament, her time as a presenter on RTÉ’s Ear to the Ground and her work in agricultural journalism, Mairead McGuinness is extremely well-versed on the issues and concerns of Irish farmers and food producers and gave a very witty speech as part of the launch. 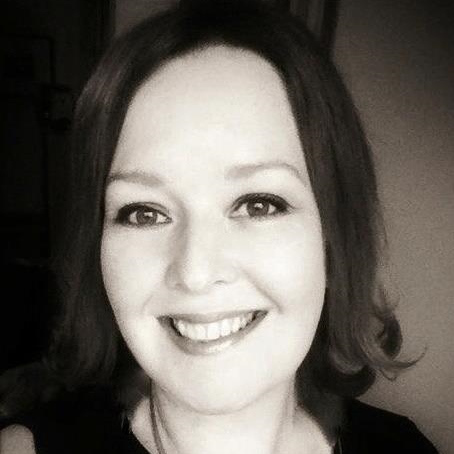 Grainne Calvey, one of Martin’s daughters then gave a fascinating butchery demonstration. Watching the skill and dexterity of Grainne as she worked was totally absorbing and something I found very interesting. In no time at all she had divided the lamb carcass up into different joint and cuts and as she did so, gave some great suggestions on how the different cuts could be used. The Calveys operate a bespoke butchery service and can arrange delivery to anywhere in Ireland, so you don’t have to live on and around the Island to be able to cook and enjoy eating Achill Mountain Lamb. Although the Calveys have a well-established trade providing directly to restaurants which they continue to develop, the ordinary consumer can also buy their product; either the whole animal butchered into different joints or specific cuts of the meat. When you buy Achill Mountain Lamb, you can be certain that it is 100% traceable meat that you are buying, from animals that had a good life and were able to roam freely. Gary O’Hanlon, Head Chef at Viewmount House in Longford Town then treated the crowd to a great cooking demonstration using the lamb. Many people will be familiar with Gary as he is one of the resident chefs on TV3’s (previously RTÉ’s) The Restaurant. What Gary so deftly showed us was that lamb is far more versatile than we might think. Granted, I love a roast leg of lamb with all the trimmings, but that takes time to prepare… the dishes that Gary made were flavoursome and more importantly quick to prepare using different, less familiar cuts of the meat. Too often we are removed from the food we eat and where it comes from. We all posture and pay lip-service to terms like ‘artisan’ and ‘locally-sourced’ without often really understanding what they mean. Sadly these are terms which have also been hijacked by big business and multi-nationals and this has resulted in the underlying philosophies and practices behind these terms being somewhat devalued. It is therefore reassuring and heartening to visit farmers like the Calveys where you can witness (and taste) for yourself, the results of their commitment to producing lamb of the highest quality from the island which they were brought up and live on.